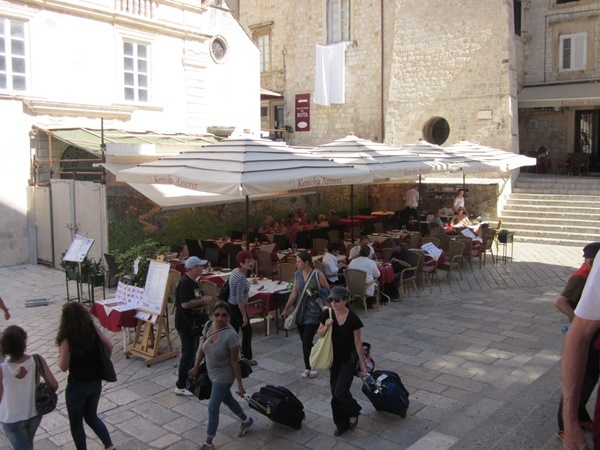 Only several hotels are located within city walls of Dubrovnik. Staying in the Old Town you will be only steps away from numerous restaurants serving different kind of food (Dalmatian, Bosnian, Vegeterian, Asian etc) and stylish cafes offering great cocktails and other drinks. Sightseeing of Dubrovnik will be easy for you since all historic sights are located here, starting from famous City walls to Sponza and Rector's palace, Dominican and Franciscan Monastery. 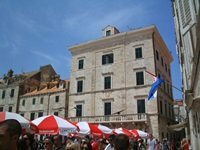 If you wish to learn more about culture and history of Dubrovnik several great museums can be found in the Old Town. The most popular beach, Banje beach is located outside the city walls and is popular destination of tourists staying in the Old Town. Little bit further (some 10 minutes walking distance) there is another great beach, St James beach which is smaller and popular among locals. From Old city harbour you can reach the island of Lokrum by a 15 minutes boat ride. One of them is the Pucic Palace Hotel which in located in the great location in the very centre of Old Town on Gundulic's square. Only steps away from the hotel you will find numerous restaurants with delicious food, stylish cafes, museums, galleries, palaces and churches. This hotel offers accommodation in 10 luxury staterooms. Hotel offers also accommodation in several apartments in the building just around the corner. Pucic Palace Hotel has a reastaurant and wine bar where you can taste great food and a great selection of wines. If you decide to visit the beach guests of the hotel has free use of deckchairs and parasols on Banje beach which is located just outside the city walls (some 5 minutes from the hotel). 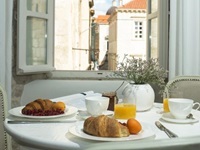 Recently renovate Hotel Stari Grad is located in the street on the left side of Stradun. This small hotel offers accommodation in only 8 rooms. At the top of the hotel there is a terrace from where you can enjoy amazing views over the city roofs.